INTERNAL DAOIST ALCHEMY & THE WAYWARD ADVENTURES OF A SHAOLIN DISCIPLE are the subjects of some recent reading matter….as the holiday approaches and new years resolutions are made savour some alternative lifestyle runnings! Nick Hurst’s Sugong: Quek Chong Tze. Despite having practiced “internal” martial arts with several different teachers not one of them introduced Nei Dan – Daoist internal alchemy – as an essential part of the curriculum. However, in recent times there has been an opening up, in terms of writings and therefore teaching, of the more esoteric energy cultivation techniques that have been practiced for centuries by Daoists. In one of my recent reviews I was most fired up by Serge Augier’s lucid and engaging workbook on Shen Gong and Nei Dan in DA Xuan which covers the Daoist practices for developing mind, emotions and internal energy and provides specific exercises for cultivating and transforming the Jing (body energy), Qi (life force) and Shen (mind or spirit) on the path to enlightenment. Serge Augier’s book was published by Singing Dragon publications who have also published numerous books on internal Daoist practices by Mater Zhongxian Wu and UK based practitioner Damo Mitchell. White Moon On The Mountain Peak is Damo’s fourth and most recent book for Swimming Dragon and this weighty 380 page tome provides an accessible insight, for practitioners on all levels, into the “Alchemical firing process of Nei Dan”. Drawing on his own experiences, he explains the practice, the process and energetics of Daoist internal alchemy which until very recently been a closely guarded secret. In the book he succeeds in drawing together a huge amount of esoteric material with the aim of presenting the underlining theories while systematically fleshing out a guide for practice that offers important insights into the different stages of attainment. He describes the tangible results that should appear through practice while warning of the potential pitfalls of alchemical training. In the end I suppose it’s down to what you want out your training. There’a a lot more information available today that makes me wonder where I’d be today had I known about certain practices a couple of decades ago. That said, to focus on that would be a waste of energy. Right now, it seems more sensible to seek guidance as to what I should be focussed on and then get on it. A book like White Moon On The Mountain Peak is a guide to practice but it also hits home as a call to find a genuine teacher who can help you on a journey which, I sense, will be seriously demanding in terms of discipline and one’s mental state. For those who are happy to ignore all this deep, esoteric Nei Dan stuff and just work on your taijiquan forms (if that’s your bag!) 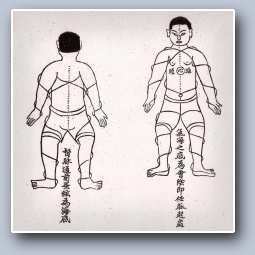 I recommend having a shufti at Wang Fengming’s – The Essence Of Taijiquan Push Hands and fighting Technique. I believe Master Wang is the son in law of the late Hunyuan taijiquan grandmaster Feng Zhiqiang, who was an inner door disciple of Chen taijiquan legend Chen Fake, and this book is rooted in Feng’s teachings. – 20 kinds of Taiji energy explained and demonstrated. So, for all who are interested in push hands and the martial applications of taijiquan this could proved be a well thumbed book in a few years time. This entry was posted in Deep stuff and tagged Chen Taijiquan, Daism, Damo Mitchell, Feng Zhiqiang, Flying Monk, Internal alchemy, Master Qwek, Nam Pai Chuan, Nei Dan, Serge Augier, Singing Dragon, Sugong, Wang Fengming. Bookmark the permalink.